Here's another great kibble from Ivory Coat. 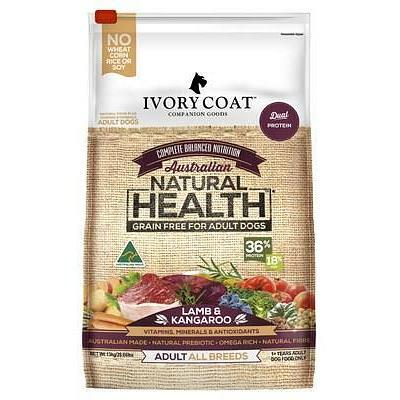 Ivory Coat Lamb & Kangaroo is a delicious mix of dry food, developed alongside veterinarians and animal nutritionists it supports a balanced nutrition and is ideal for everyday feeding. The reason Ivory Coat tastes so good is because there's only high quality ingredients inside. They use vegetables and superfoods such as kale and blueberries to boost antioxidant intake while still delivering that full meaty flavour your dog will love. It is an excellent source of protein and equips them with a natural prebiotic which is great for intestinal health. Your dog will also be getting a supportive boost to their daily intake of vitamins and minerals with every serve. 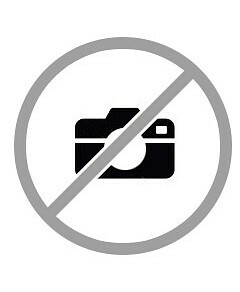 Australian made, Ivory Coat products contain no artificial colours, flavours or by-products. They have a strong commitment to sourcing Australian produce and they aim to donate $10,000 monthly to local farmers. So you can support a good cause while feeding your dog something wholesome they will truly love. What great value for such a fantastic, homegrown product. Lamb Meal, Kangaroo Meal, Potatoes, Peas, Dried Lamb, Dried Kangaroo, Chicken Fat, Carrots, Sweet Potatoes, Kale, Broccoli, Spinach, Parsley, Apples, Blueberries, Rosemary Extract and Green Tea Extract. Does not contain any wheat, corn, rice or soy. List of ingredients is not exhaustive, if you have concerns about allergies, contact the manufacturer. Recommended feeding varies between 60g - 600g daily. This will depend on your dog's weight, age, breed and activity level. Check the label to ensure you are feeding your dog the right amount. Always provide fresh water for your dog and do not overfeed. This product is also available in other bag sizes and flavours throughout the Ivory Coat range. Petstock dropped the price of this item in the last 24 hours!